Students from a local stage school are celebrating excellent results for solo exams in Musical Theatre and Individual Acting Skills. 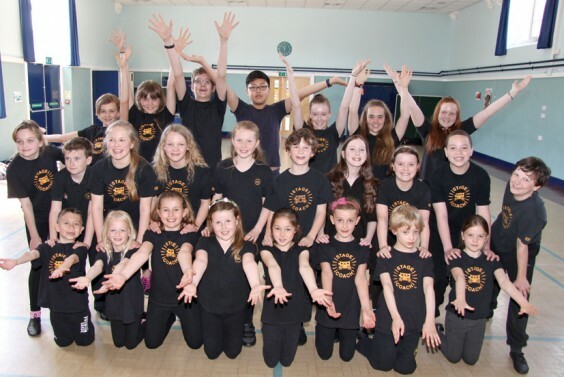 A group of 31 children who attend the Bromsgrove Stagecoach School performed individually before an external examiner from Trinity College London. Each student was required to perform pre-rehearsed material before being given a number of improvisation tasks and a brief interview by the examiner. All of the children passed, 16 with merit and 12 with distinction, the highest attainment possible. Trinity’s Grade 6–8 exams can contribute towards higher education through the allocation of UCAS points. Eleven-year-old Cameron Dews, who has attended Stagecoach for seven years, achieved the highest mark of all those who took part, with an impressive score of 93 per cent. “I was really nervous when I first started at Stagecoach but I’m much more confident now and I love the classes,” says Cameron. Principal James Suckling adds: “Children join Stagecoach for a variety of reasons, not just because they are dreaming of a career on the stage.